Christopher Cardona is part of the Philanthropy team and has engaged with the philanthropic community on issues that affect the sector. Before joining Ford in 2015, Chris led philanthropic services for TCC Group, specializing in strategy, capacity building, and evaluation for the social sector. Over eight years, he led projects for clients that included the Gates Foundation, the Carnegie Corporation of New York, the Hartford Foundation for Public Giving, St. David’s Foundation, the Health Care Foundation of Greater Kansas City, Echoing Green, the Jack Kent Cooke Foundation, and the Margaret A. Cargill Foundation. 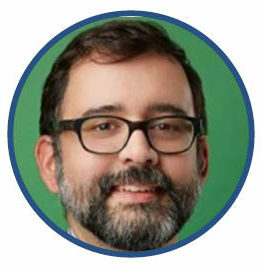 Previously, Chris worked at Hispanics in Philanthropy, where he last served as program director for the Northeast, managing seven grant-making sites and developing and implementing fund-raising strategies. Earlier, while pursuing doctoral studies, he co-managed the execution in Santiago, Chile, of a multicountry survey project, investigating the impact of changes in the world of work on citizen participation. Chris also served as a consultant to grant-maker affinity groups. Chris earned a PhD and master’s degree in political science from the University of California, Berkeley, and his bachelor’s degree in political science from Williams College. His dissertation examined the relationship between police, army, and politicians in Latin America in comparative and historical perspective, based on a case study of Colombia in the early and mid-20th century.